Ek Bhram Sarvagun Sampanna lead actress Shrenu Parikh expressed her take on her character of Janhvi Mittal, the wicked daughter-in-law of a high-profile Indian family, for the first time. Breaking the stereotype of conventional docile bahu on Indian television, the new show Ek Bhram Sarvagun Sampanna aims to showcase a unique concept of a wicked daughter-in-law. The story revolves around the pretentious ideal bahu of a very rich and famous Indian family. 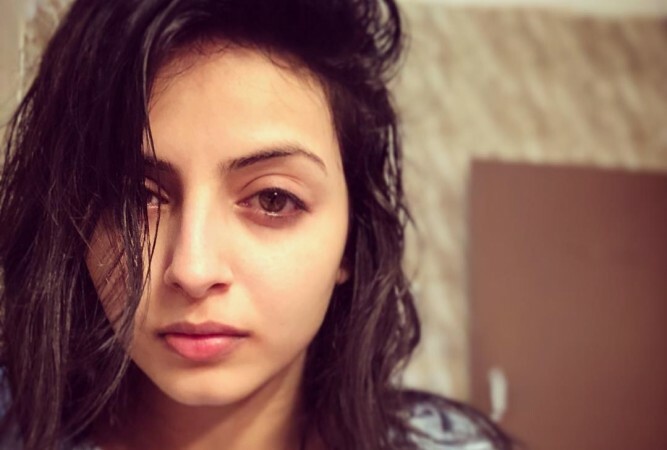 The show's promo has already created a lot of buzz in social media as the lead character Janhvi Mittal, played by Shrenu Parikh, was seen having shades of grey. While the story is inspired by a real-life high-profile influential family and their daughter-in-law, the cast of the show finally opened up about the show to the media at the launch in Udaipur recently. Addressing to the press, Shrenu expressed her take on the character for the first time. She said that Janhvi Mittal can't be called a negative character as she is good at heart, however, there are reasons why she is making life hard for her family. According to reports, the actress has been going through a gruelling preparation mentally as well as emotionally, to portray the wicked character convincingly. It was reported earlier that the creators of the show are tight-lipped about the family, as the reputed family fears exposing the controversial story. The makers along with the entire cast and crew have been bound by an NDA which restricts them from divulging any details on the real inspiration. "Ever since the promo released, the makers have received threat calls from various influential families interrogating if it is based on their lives. Though it is based on one powerful Indian family, the producers are currently unwilling to disclose details to viewers. They have signed an NDA with the cast and crew, who have been told to remain tight-lipped about the offering," a source said in a statement. Ek Bhram Sarvagun Sampanna will be going on air on Star Plus at 7 pm on April 22.